I-69 is likely to be a hot topic this week as several highway related meetings are scheduled to take place. A public hearing is set for 5:00-9:00 p.m. on Thursday, August 26th at the Eastern Green Middle School gymnasium. At this hearing, INDOT will present the preferred alternative route for Section 4, the stretch of highway that connects CRANE to SR 37 in Southern Monroe County. Public comment will be accepted on the Section 4 Draft Environmental Impact Statement (DEIS) during the meeting and may be submitted to INDOT through September 28th. The Technical Advisory Committee of the Bloomington/Monroe County Metropolitan Planning Organization (MPO) met this morning with I-69 related business on the agenda. 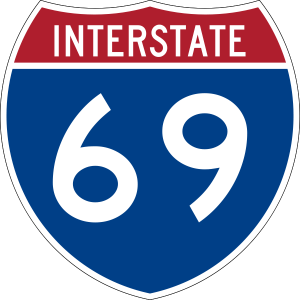 INDOT is asking the local MPO to amend its Transportation Improvement Program (TIP) to include preliminary engineering, right of way, and construction phases for I-69 due to the 1 ¾ miles of Section 4 highway that falls within the MPO’s planning jurisdiction. The Technical Advisory Committee, tasked with reviewing the requested amendment and making recommendation to the Policy Committee of the MPO, voted unanimously in favor of the amendment. The Citizen’s Advisory Committee meets this evening at 6:30 to discuss and vote on the amendment. The Policy Committee will make its decision on September 10th. This entry was posted in Advocacy and tagged Crane, I-69, INDOT on August 25, 2010 by Bloomington Chamber Staff.